1. Save, Save & Save! It goes without saying, but for any travel adventure or holiday you HAVE to save and budget in one form or another! Whether it’s eating tuna and rice for weeks on end, two minute noodles or the beloved ‘spag-bol’ for the next fortnight, saving your hard earned dollars is a must. Lets get this out the way first! Aitutaki Cook Islands for that matter are NOT cheap! 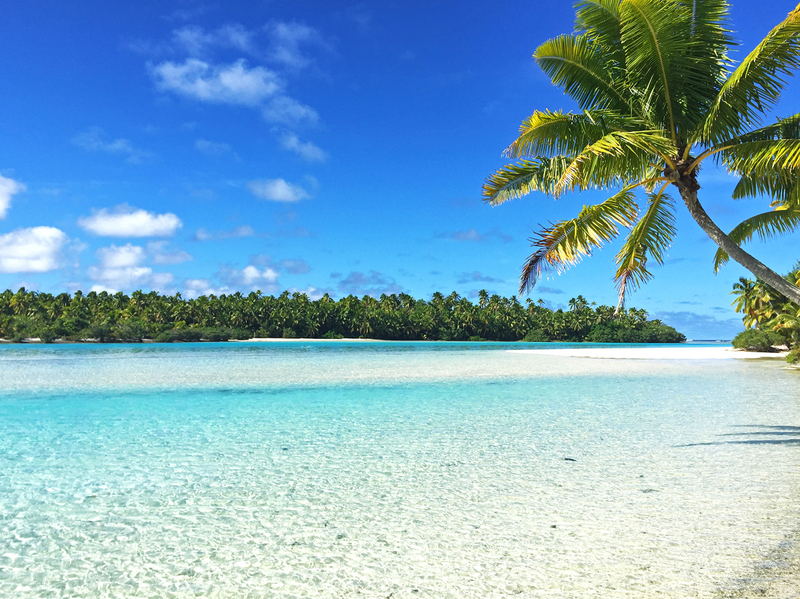 You will definitely want to save a large sum of money before travelling to the Cook Islands just to get your travel plans off the ground. Plan to budget $370-450 per day (including flights and accommodation over 11 days), if not more depending on your accommodation style and length of stay! Personally, we stayed in a basic bungalow on the beach (a simple continental breakfast included each morning) at $180 per night twin share ($90 each per night with two people). The cheapest accommodation we could source came in at $89 per night. – Budget $20-$30 for main meals and eating out. – Bikes, scooters or car hire is almost an essential, so budget roughly $10 for bike hire per day & $25 for scooter hire per day plus additional fuel. – Lagoon tours range from $95-$120 and often include a great lunch. Lagoon tours are a MUST DO! A great alternative to lagoon tours is booking a water taxi! Water taxi’s will drop you off at a desired location where you can choose to spend a half day or full day exploring the outer atolls of the lagoon. Budget $45-65 NZD for this. – TIP: BYO lunch and water. This is not provided on water taxi’s. So as you can see, a trip to the Cook Islands (in particular, Aitutaki) can get super expensive, really quickly. Plan ahead the day before each trip, find some local fruit and shop at the markets if you have to get by. It will help you save a little extra in the long run whilst on holiday to afford the more expensive activities such as lagoon tours. 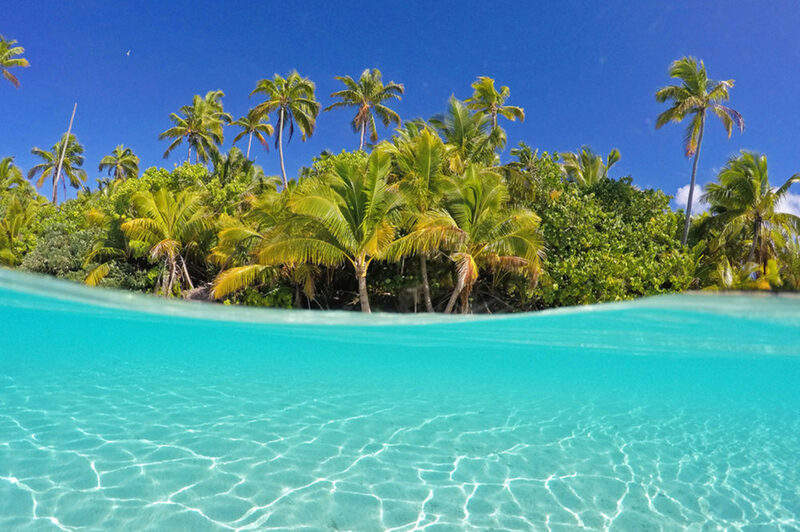 Book your Aitutaki accommodation here. Book your Rarotonga accommodation here. Do whatever in your power to book a flight that you can afford! Don’t be afraid to shop around! I was personally offered return flights from Brisbane International – Rarotonga for $1200 at the cheapest. I did my research, shopped around and scoured the internet for a flight I could afford. A few hours later, 60 different websites and 5 different apps, I managed to find flights return to the Cook Islands for $700. As I booked through Flight Centre Australia, they have a price match guarantee if you find cheaper flights then what they have advertised IF, the competing company is Australian owned. Pays to do your RESEARCH! On the downside, the cheaper flights are usually the ones that fly in the middle of the night with 3 stop overs. So prepare yourself for ZERO sleep! Welcome to the exciting stage of your trip! You’ve probably finished work for the week and finally began packing for your dream trip! Now, where to begin? Like any island holiday or island travel adventure I plan, the first thing I always pack into my luggage is my snorkel gear! Who travels to a remote islands destination and doesn’t snorkel!? I usually bring my own as I prefer the gear I have bought, over snorkel equipment that a billion other people have put their mouths on. Just sayin’. Check your baggage limits with your Airline and ensure you don’t go over the Baggage limit (its usually, 17kgs-21kgs for checked in luggage). Pack accordingly to the destination you are travelling to. As I had a stop over in Auckland, New Zealand on the way to the Cook Islands, I packed jeans, shoes and a decent jacket as it was winter in New Zealand. The rest of my luggage consisted of board shorts, singlets and T-shirts. Don’t forget your underwater camera and various other camera pieces and equipment. 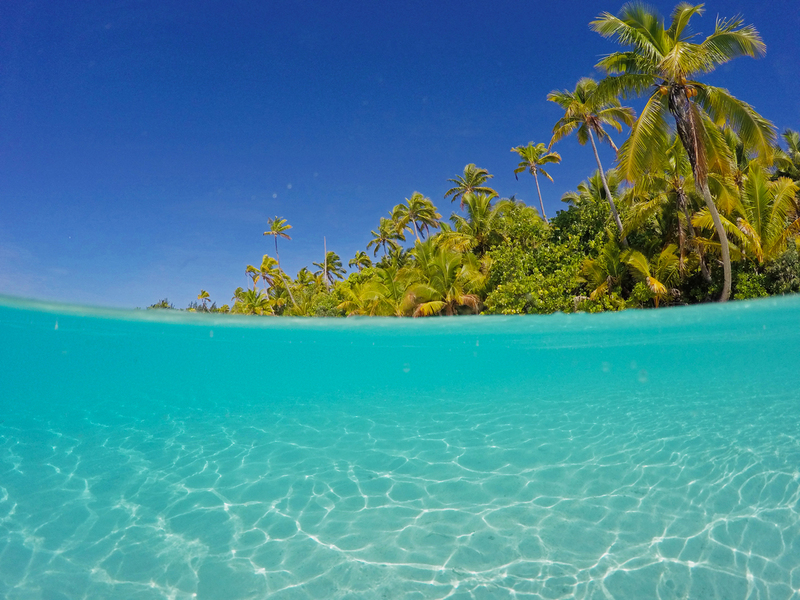 As Aitutaki is almost best observed whilst under the water, don’t forget to capture the landscapes. There are some absolutely incredible palm fringed atolls and beaches to be discovered! So bring a decent camera! A trip to One Foot Island is not to be missed! I always check I have my passport about a million times before I leave! Even when I know its packed away safely in my bag! Its almost like an OCD thing. Double check it anyway! I couldn’t imagine arriving at the airport to leave the country only to find out I had left my passport chillin’ on the bed back home! NOT COOL! Also check that the country your’e travelling to doesn’t require a specific visa for your time abroad. Some countries may require this, even though you’re there for leisure, not business. Always best to be certain before you leave. I keep my passport tucked away in amongst all of my other travel documentation in my carry on bag for easy access. Additionally, always ensure your passport has more then 6 months before it expires! Most countries will insist you renew your passport if its approaching an expiry with close to 6 months left on it. 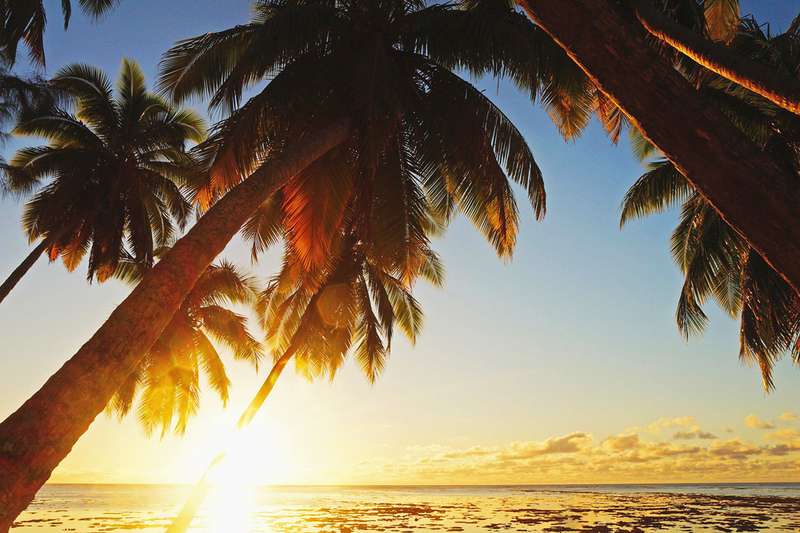 No visas were required to travel to Rarotonga or Aitutaki. 6. Talk to the locals! Ask them questions! Embrace the culture you’re in! I’ve always been a bit of a ‘slacker’ in regards to involving myself more culturally when it comes to travel: But Aitutaki was different! Most of the locals are super friendly and happy to tell you a thing or two about their home or way of life. If you’re lucky enough, you might just bump into the right people who can show you around or offer you a lift (beats walking 6kms)! Try new food (except sashimi, unless thats your thing! ), fruits, activities and just relax a little and enjoy being away from the regular day-to-day life. So this might contradict tip #1, but honestly, you didn’t just travel half way around the world to sit and do nothing all day (well maybe some days)! You’ve saved all of your money for the trip of a lifetime, so why not spend a little on enjoying the finer things right!? Meaghan and I budgeted accordingly most days, and when we felt like it, we would eat out at one of the few ‘fancier’ restaurants. We booked a lunch at the exclusive 5 star resort at Ootu Beach, Aitutaki and ate far too much! Try the Bounty Cocktail if you get the chance. Its incredible! Breakfast one morning was spent at another 5 star resort (Pacific Resort) where I enjoyed the best pancakes I’ve ever had! Although its expensive, the food in Aitutaki is ridiculously good! I would also recommend trying a fish burger if you haven’t done so previously! The BEST in the world! Most days for lunch we were either eating a full buffet lunch on board a lagoon cruise (The Vaka lunch is AMAZING!) or eating by the lagoon at the Aitutaki Village on Ootu beach (grab a mojito, delicious)! So you’ve just taken the most amazing photo ever and you feel the need to share it with the world! You’re on a remote island, so what do you do!!!? Don’t stress, Aitutaki has wifi…….for the price of your soul! Kidding, but seriously…its EXPENSIVE! I actually ended up paying around $100 for wifi only for it to last me about a day with low activity on Instagram & Facebook. I checked the occasional email and within a day, to a day and a half, I had run out of 500mb. CRAZY! So budget for wifi (should you need it) and use sparingly! Also, boil water if you can where you’re staying as it will save you spending a crazy amount on buying bottled water. The water in Aitutaki is filtered, but even the locals wouldn’t recommend drinking it straight from the tap! Unfortunately for us, our bungalow/shack didn’t have hot water for the first week….it was death! But you just learn to deal with it! It was eventually fixed after constant complaints. Just remember….you are on island time now. EVERYTHING is slower! Fortunately, this isn’t the case everywhere on Aitutaki, we just happened to be stuck with a dodgy gas connection which was later rectified. 9. Weather! Sun, sand & salt! There is no doubt that everyone wants that idyllic island getaway with sun, sand and salt! Chances are, if you travel to Aitutaki, you will get exactly that! The entire place is like something from a postcard! What you’ve conjured up in your wildest island getaway dreams still wouldn’t compare to the raw and natural beauty of the Aitutaki lagoon! This place will blow you away at just how perfect it really is. Be sure to check with your accommodation reception on what the weather is doing over the course of your stay! This proved really useful for our trip as we could plan out over the weeks what lagoon tours we wanted to do and on what day. Fortunately, we had almost perfect weather right up until the last two days! Once again, plan ahead! You can expect a temperature of around 27 degrees during the autumn (fall) and winter months, with temperatures dropping a few degrees in the early mornings. Winter is peak season, so expect higher prices and more tourists. I travelled in the very beginning of June, and tourist numbers were still quite low, so some days felt like you had the entire island to yourself. 10. Enjoy yourself! Have a little fun! Travelling is a time to take in new smells, new cultures, meet new and interesting people, visit extraordinary places and embrace something a little out of the norm. The most important part of your journey is to ENJOY it! By the time your realise it, you’ll be back on that plane heading back to your old life. Embrace and take it all in. It can be overwhelming at times, but make the most of it! Write it down if you have to, each and every day a list of everything you did! Photograph it, capture it, film it and lock it away in amongst all of those other awesome memories! I like to take a lot of photos on my trips away (1000’s in fact in my time in Aitutaki, plus 100’s of videos) but its important to remember to put down the cameras, the phones etc and just enjoy the moment! After all, you may not get the chance to do it all again! Watch the feature video below! I’m Scott Pass, a travel and lifestyle creative with an avid interest in all things outdoors, adventure and islands. Grab your passport and tag along for the journey as I photograph and document my travels around the world. I am based on the Sunshine Coast, QLD, AUSTRALIA. We enjoy your videos so much! What type of camera did you use? We are going on a getaway and your videos are so clear, we would love to capture it as well. We stayed at Paradise Cove – a nice and quiet set of beach huts between Aitutaki Escape and Matriki Beach Huts.